Are you willing to get the feel of the local culture while sipping your coffee? Well you must head to this cafe to enjoy the delicious cakes and some rich flavors of coffee that you won’t find anywhere else. Strategically located with comfortable seats to relax on, and boasting of a considerate staff, this cafe will allure you time and again to dig into the coffee shop. With no loud music to disturb you, the clean and tidy surroundings are good enough to put you into a peaceful mindset. You will have a delightful experience with an exclusive collection of weeds to choose from available at the coffee shop. Experience the gem. Try the best Amsterdam trip planner to visit this Coffeeshop Club Media as well as many others. Your worry of where to stay in Amsterdam is sufficed by bunch of interesting and comfortable lodging options in the Amsterdam like Lloyd Hotel And Cultural Embassy, Q-factory Hotel and Amsterdam Tropen Hotel. Create your own Amsterdam vacation packages or choose from the ones made by travel experts. Also explore the best ways for how to reach Amsterdam. Good quality, selection, price is worth it I'd say. The space cake are well made if that's your thing. The staff is friendly and professional. Also got a tea inside once, the place is clean and comfortable. Really liked this coffee shop. I found it spacious, cheaper than most and provided good entertainment (board games, cards, music). Nice and relaxing. 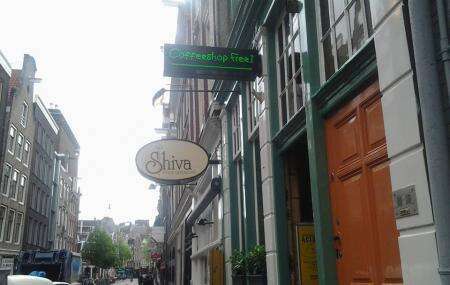 Best coffeeshop in Amsterdam, the best menu, all i tried (tried pretty much all weed) was good and the best prices looking of the quality. PLEASE could you never stop the gelato (grown in nl) that you got on menu i would die. Special thx to the Lavender kush, a very nice and rare moment. Nice place. Nice people. Good produce and they serve coffee!